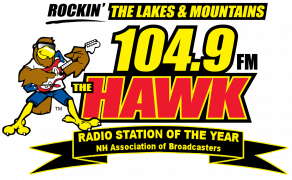 WLKZ Contests are open to WLKZ listeners residing in New Hampshire, Massachusetts, Maine, Vermont, Connecticut, and Rhode Island. Employees, agents, successors, interns, and assignees of Lakes Media LLC, its advertisers, advertising agencies, or promotional partners are ineligible to win WLKZ Contests. Employees of any radio station in the Concord or Lakes Region area as designated by Nielsen Audio are also ineligible to win WLKZ Contests. By calling the WLKZ Request Line (1-855-888-4295) at any time, you acknowledge that your call and/or voice may be used on the air. Names and likenesses of WLKZ Contest Winners may also be used by WLKZ and WLKZ designees for promotional purposes without further compensation to the winner. All claims are subject to verification by WLKZ, whose decision is final. WLKZ contests are void where prohibited. Prizes must be picked up at the WLKZ Studios, unless otherwise stated, within 30 days of winning the prize. Prizes not picked up within 30 days will be forfeited. Proof of identity must be presented when picking up a prize. WLKZ reserves the right to substitute prizes of equal or greater value. WLKZ reserves the right to change contest rules and/or dates at any time without additional notice. WLKZ is considered the “Judge.” Judges decisions are final. All federal, state, and local taxes are the sole responsibility of the winner. Any single prize or total prizes won during one calendar year totaling a value of $600 or more are required, by law, to fill out a W9 tax form. 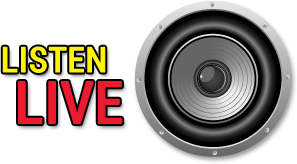 Some WLKZ contests may run in conjunction with other Lakes Media LLC owned and/or operated stations. WLKZ Contest information, rules, and results are available for inspection at the WLKZ business offices Monday – Friday 9 AM – 5 PM, or by sending a self-addressed envelope to WLKZ Contests, 4 Church St., Concord, NH 03301. Entries generated by a script, macro, or other automated means are void and will be disqualified. Sponsor is not responsible for: (a) telecommunication, network, electronic, technical or computer failures of any kind, for inaccurate transcription of entry information, for any human error, or for entries that are stolen, misdirected, garbled, delayed by computer transmissions, incomplete, illegible, corrupted, lost, late, or damaged, and all such entries are void; and (b) your inability to access the registration site, or any other error or malfunction that may occur, including any injury or damage to your or any other person’s computer related to or resulting from participating in Sweepstakes, contests, and promotions. By participating in Sweepstakes, contests, or promotions, you agree to these official rules and the decisions of all parties involved. Failure to comply with any of these rules may result in disqualification from Sweepstakes. Sponsor reserves the right to permanently disqualify from any sweepstakes promotion it sponsors any person it believes has intentionally violated these rules. In the event the Sweepstakes, contest, or promotion is compromised or becomes technically corrupted in any way, electronically or otherwise, that is beyond the control of the station(s) and/or sponsor, the station(s) and/or sponsor reserves the right to withdraw the transmission of Sweepstakes, contest, or promotion, and to select a winner from among all eligible entries received up to the date of withdrawal.